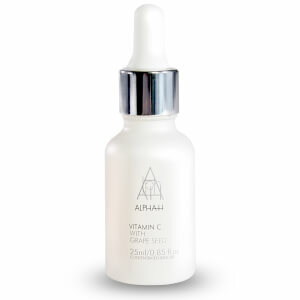 Made with love in Australia, the Alpha-H Vitamin C Serum works to give your skin a glowing radiance; a multi-purpose formula that combines advanced technology with botanical ingredients and the ultra-hydrating properties of Hyaluronic Acid. Considered a global leader in corrective and preventative skincare, Alpha-H creates revolutionary cosmetical formulations which help bridge the gap between the beauty counter and invasive treatments. Despite a history stretching back over twenty years, the core message remains unchanged; Alpha-H is committed to achieving clinical results.